HELP US EXPAND OUR OUTREACH! This year, the OU SHPE chapter is focusing on expanding our outreach efforts. We are working on several projects dedicated to motivate and empower youth interested in STEM. Our target location is south Oklahoma City where there is a lack of STEM awareness and initiatives. 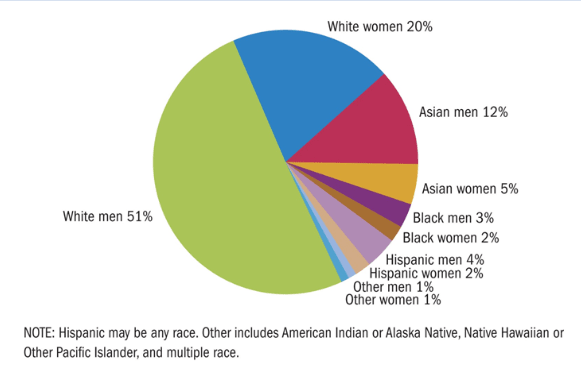 We strive to provide the support and ultimately increase the amount of Hispanics in pursing STEM degrees. The SHPE chapter at OU is focused on increasing our outreach initiatives. We are working on establishing Jr SHPE chapters at high schools in south Oklahoma City. Currently we are working with Southeast, Capitol Hill, Santa Fe, and Grant High School. 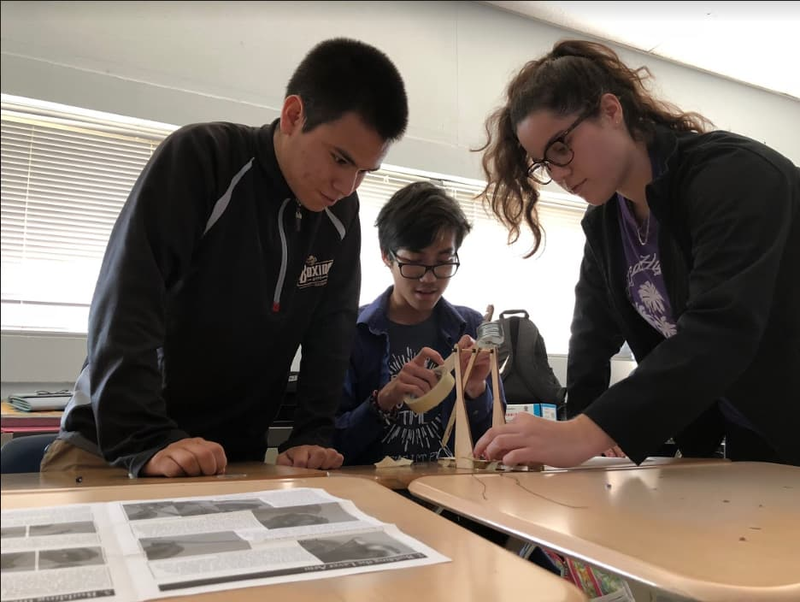 Members of OU SHPE help high school students develop their own chapter that promotes STEM awareness and involvement. The students have meetings in which they do hands on activities, college prep, and engineering/STEM related lessons. Noche de Ciencias or Night of Science is a our biggest outreach event of each semester. We provide middle and high school students with a hands on STEM activity and competition. The event also includes presentations from professional engineers to encourage students to pursue STEM degrees. Further, financial aid and scholarship information is given by faculty from OU. 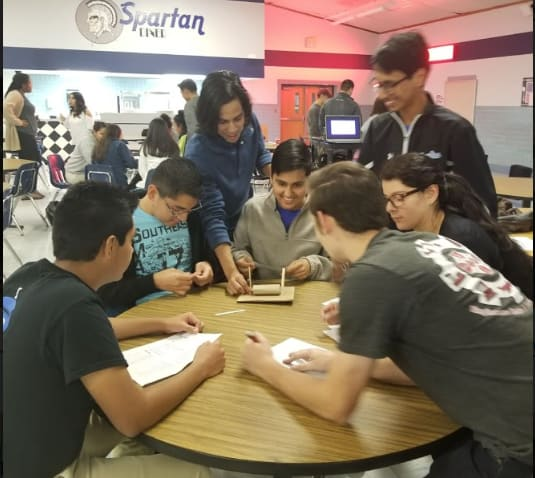 This year we hope to motivate 50 students from OKC to explore STEM through an engaging robotic competition and an overall informative and motivating event. 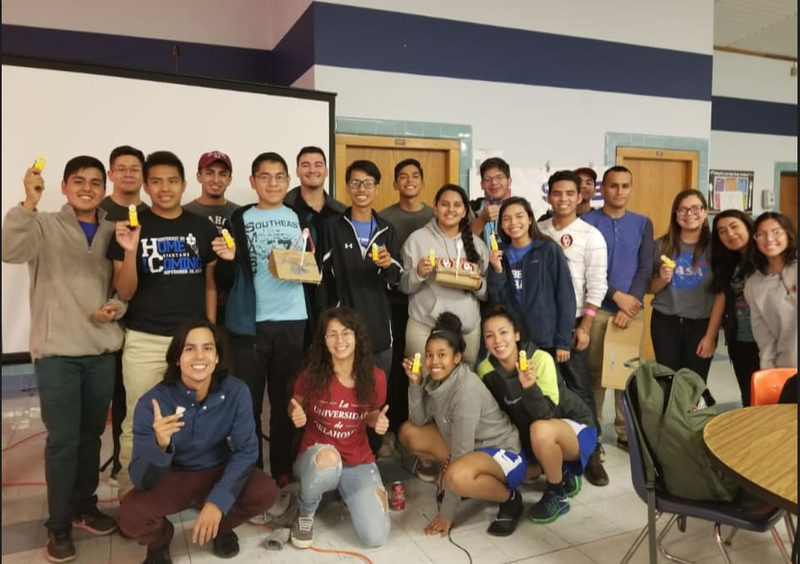 As a new outreach initiative, the OU SHPE chapter wants to bring dozens of high school juniors from Oklahoma City to our campus for a day of STEM projects, student panels, tours, and presentations. The purpose of this event is to motivate incoming freshman not only to pursue engineering but to explore the opportunities and support offered at the Gallogly College of Engineering here at OU. 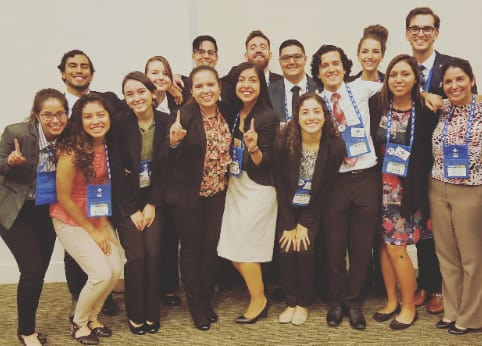 Every year, the University of Oklahoma SHPE takes several members to participate in the SHPE National Conference which is known as one of the largest technical and career conference for Hispanics in the country with over 6,000 engineering professionals, students and corporate representatives attending. This year we are are raising funds to offer this amazing opportunity to high schools students to engage in workshops, competitions, and networking events along with the OU SHPE chapter. A donation in this amount could be used to help our SHPE Jr members pay for the SHPE national membership fee. When promoting our events throughout campus, it is more likely for a student to attend a meeting that provides food. With this donation, our organization will be able to ensure that there is food at our general body meetings which will allow us to further attract more students to our meetings. A donation of this size will allow SHPE to rent locations on campus to host our general body meetings and friendSHPE events! The more donations of this size that we receive, the more locations on campus we can rent which will ultimately allow us to reach a bigger crowd! A generous donation of this amount would be used towards paying for events such as, traveling to regionals and our paying for a member’s registration to Regional Leadership Development Conference, that occurs once a year. One of the main things our members look forward to is being able to attend the annual SHPE conference that occurs in November. Our chapter aims at paying for most of the trip, and we only require our members to pay for registration, which begins at $225-$250. In recent years, some of our members have shied away from this opportunity due to financial issues, and a donation in this size would cover for one member’s registration fee. Donors will receive a thank you note from a member that benefits from this! Sponsors an entire Jr SHPE chapter: As an organization, one of our main goals in recent years has been to strengthen our outreach initiatives. 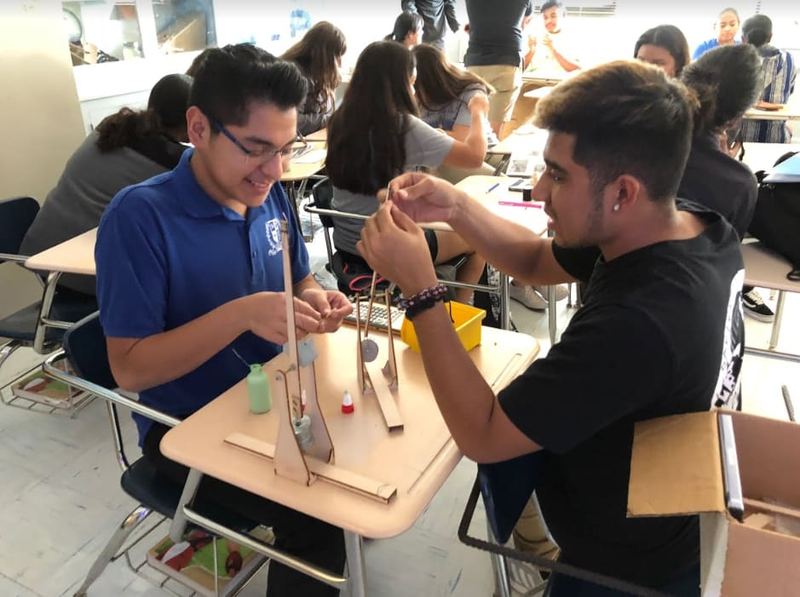 We believe that to truly live up to our mission of empowering the Hispanic community through STEM, we have to begin from the roots, which is our young students. We believe we best do this through our SHPE Jr chapters that we charter in inner city high schools. A Jr. chapter runs like a college chapter, but funding for our Jr. chapters is more challenging, a donation in this size would cover an entire Jr. chapter. Donors will receive thank you notes from the chapter that benefits from this!